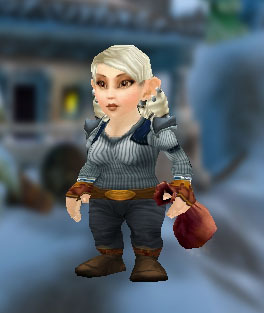 Here we have another character outfit inspired by one of the innkeepers outside of Gnomeregan. The main and offhand items can be changed to whatever you feel like... I just felt like a board with a nail was a fitting weapon for an innkeeper. Another simple and easy outfit. The only hard item to get would be Devotion as it drops from Yogg-Saron in Ulduar, but you could easily replace is with a binky staff or something from the AH. Devotion is one of my favorites though! 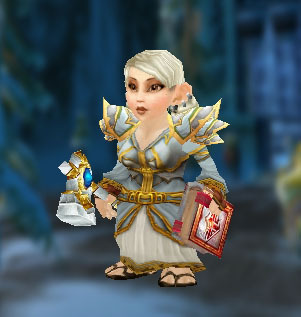 Here is a fairly simple set featuring one of my favorite robes. 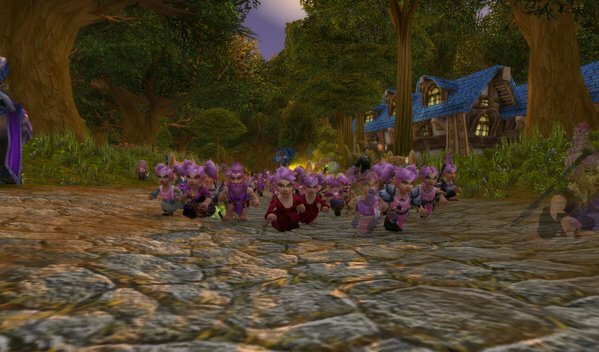 All of the items are easily obtained through questing, crafting, or can be purchased from a vendor or the AH. This set will require some effort to put together. The head and weapons both come from Black Temple. The reason this set does not use the Twin Blades of Azzinoth from Illidan is that it is meant to be fully transmog...able. 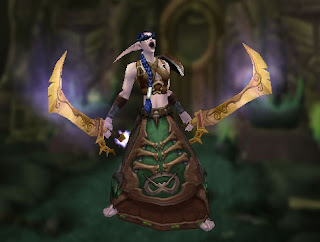 Since legendary items cannot be used to transmog, the Blade of Savagery offers a nice alternative while still keeping the same demon-y style. 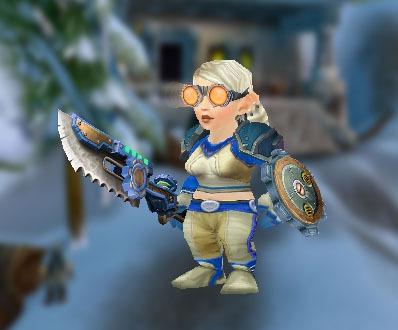 You can wear this entire set in a raid and not have any weird, out of place looking equipment. Doesn't it look like you just stole the swords from the corpse of a slain Shivan? 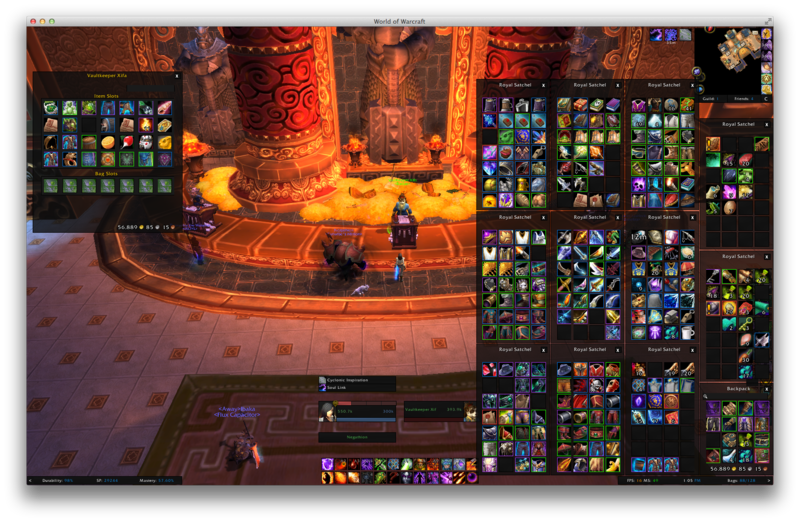 Most of the other items are either crafted or BoE world drops that can all be found on the AH. 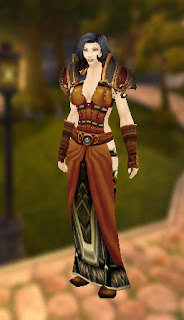 The exception is the shoulder piece which can be obtained as a reward for this quest chain. Alternatively, there are many lookalikes that you can view on Wowhead, take your pick. Here is one of my personal favorite outfits. 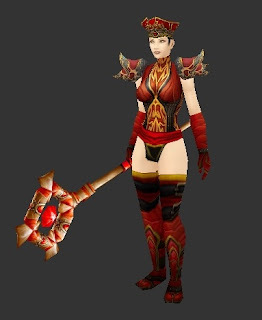 I wear this on my mage all the time! 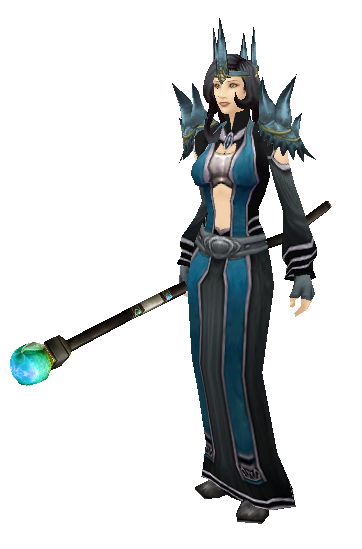 Unfortunately it is a mage-only set due to the head and shoulder pieces being from the dungeon 2.5 set you get from quests in AQ40. For those of you that do play a mage, this takes a little bit of grinding in Temple of Ahn'Quiraj. 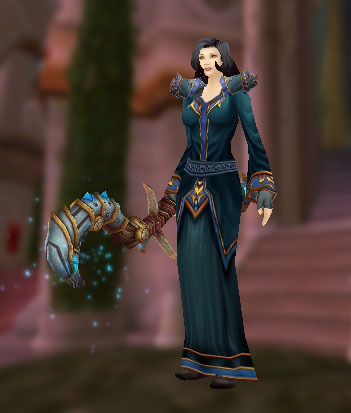 Warlocks and priests also have their own versions of this set in a different colour scheme, Doomcaller's Attire and Garments of the Oracle respectively. The circlet is one of my favorite items to transmog--very cool but not obnoxious and shiny. Most of the other items can be either crafted or bought from the AH. The robe may be quite expensive, but it's completely worth it!